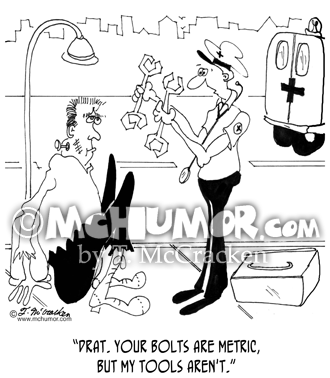 Metric Cartoon 6947: A paramedic saying to Frankenstein's monster, "Drat. 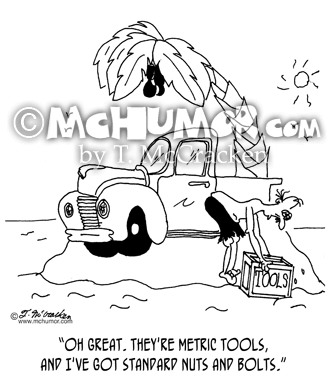 Your bolts are metric, but my tools aren't." 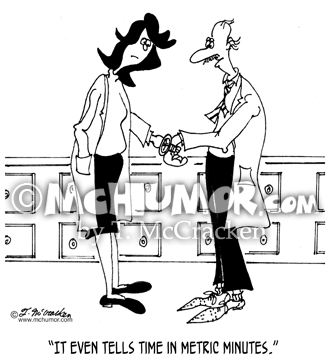 Metric Cartoon 6040: A scientist showing off a new watch says, "It even tells time in metric minutes." 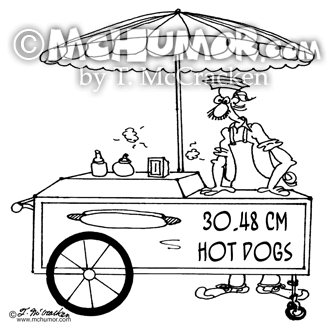 Fast Food Cartoon 5852: A street vendor selling, "30.48 cm Hot Dogs." 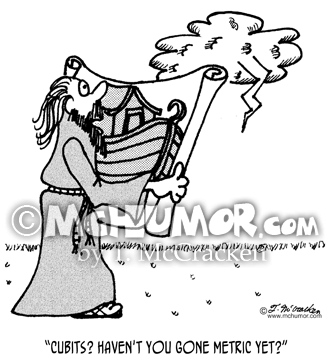 Architecture Cartoon 4008: Noah building the ark asking God, "Cubits? Haven't You gone metric yet?" 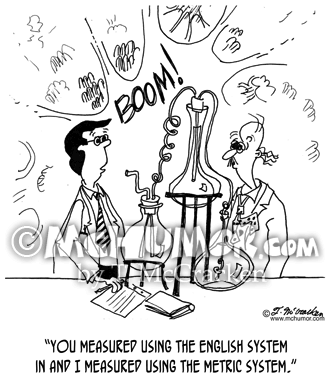 Metric Cartoon 6287: As a lab blows up one scientist holding up a beaker says to another, "You measured using the English system in and I measured using the metric system." 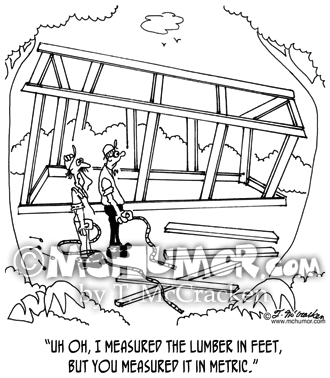 Carpenter Cartoon 6363: Looking at uneven beams on house a carpenter says to his partner, "Uh oh, I measured the lumber in feet, but you measured it in metric." 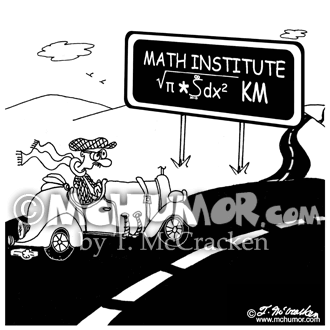 Tool Cartoon 5777: A man stranded on an island with a truck sees a bunch of tools wash up on shore and says, "Oh great. They're metric tools, and I've got standard nuts and bolts." 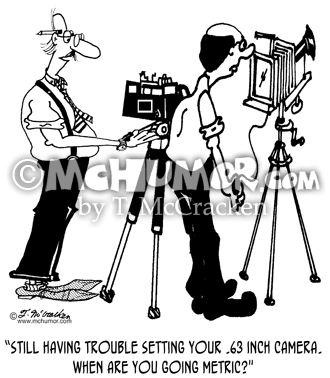 Photographer Cartoon 1455: Someone says to a photographer, “Still having trouble setting your .63 inch camera? When are you going metric?"